I’ve studied Tibetan Buddhism in all the lineages, working initially with Kagyu and Nyingma teachers, and, in the last twenty years, with Bon teachers. In 1991, at the year of Tibet celebrations in New York City, teachers from all the Tibetan lineages, including the Dalai Lama were present. There were also Bon teachers, which was my first exposure to them. Bon preceded Buddhism coming to Tibet and this is largely why Tibetan Buddhism looks so different from most other forms. Being Jewish, and never abandoning that identity, and then incorporating other teachings, I cannot take the view that there is one right way. I try to be inclusive and take the value of all traditions, including Christianity and Islam. This way one sees that there are different emphases in different traditions. What kind of Jewish life did you have as a child? There was an important pro-Jewish imprint on me in my childhood. We identified with Jewish people as special in our hearts and the specialness of being Jewish. The heroes and people we talked about were nearly all Jewish—the artists, musicians, politicians or whatever, were Jewish ones. My parents were very involved with Israel and my father was a very active Zionist, chairman of a West Coast Zionist organization. There was an emphasis on the heroism of the Jews in the ‘48 and subsequent wars. David Ben Gurion, Abba Eban, and other prominent Israelis were all heroes. Later on, I’ve come to see it was a filter or attitude in my psyche. Many of those things I’m still disengaging from to this day. Over time I have opened to a larger pantheon of heroes. Dark Retreats are meditation retreats of varying lengths experienced in complete darkness. 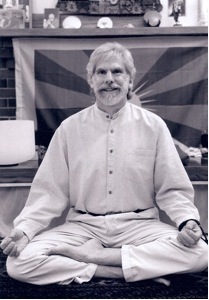 Martin has written in depth about his own experiences of Dark Retreat in his book, Dawning of Clear Light – A Western Approach to Tibetan Dark Retreat Meditation, Hampton Roads Publications, 2003, and also Writing in the Dark, Dedicated Life Publications, 2009. Martin Lowenthal, Ph.D. is the founder and spiritual director of the Dedicated Life Institute. The Institute makes the essence teachings and practices of spiritual work available in a western idiom. It incorporates many types of practices including mindfulness, breath and energetic work, tantric and Vajrayana practices from the Tibetan Buddhist, Bon, and Dzogchen traditions as well as from Taoism and Kaballah. Senior Mentor, meditation teacher, pastoral counselor and author of numerous books including Blessings of the Creative Buddha, Buddha and the Art of Intimacy, Alchemy of the Soul, Dawning of Clear Light, Embrace Yes, and co-author of the book Opening the Heart of Compassion. He has developed many workshops, courses, and retreats designed to clarify and transmit key principles and practices of the great spiritual traditions. His work reflects ongoing study with Buddhist teachers since 1970, numerous retreats including many isolation and dark retreats, and decades of teaching and coaching students. Formerly a professor at Boston College for 11 years, and having taught for Harvard University, Dr. Lowenthal currently teaches throughout the United States and internationally.